I love pretty things, and Etsy is full or beautiful, gorgeous gifts, particularly at Christmas. I love that you can find so many alternative gifts on Etsy and I particularly love the children’s gifts. It can be so difficult to buy something for children that’s not focussed on gaming or screen time these days! I can spend hours browsing gifts on Etsy so I thought I’d put together a few of my favourite items. How gorgeous is this??? If you’ve got a girly princess to buy for then you can’t go wrong! 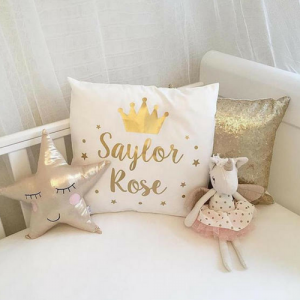 I love personalised gifts, particularly when they’re princess themed! You can get this in five different colour options, I think the gold is my favourite! I love anything that helps children to feel better. Children can often bottle up their worries not knowing how to express them. 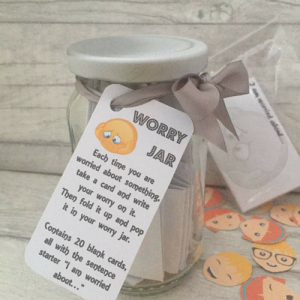 This worry jar is a wonderful way to help children to express their feelings without feeling as though they’re being judged or worrying about how to say the words. This may seem an odd choice for a Christmas gift but I know my daughter would appreciate this so I’m putting it here. You could easily make one of these yourself, or you can grab this one for just £2. Most modern houses aren’t equipped with a chimney and an open fireplace, so how will Santa get in? 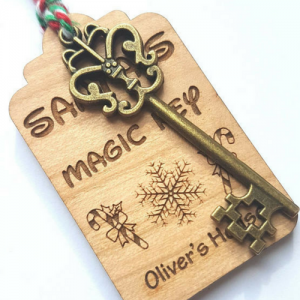 This key is a great way to sooth children’s worries, they can leave it out for Santa on Christmas Eve. These are made to order and each one is handcrafted beautifully. Grab yours here. 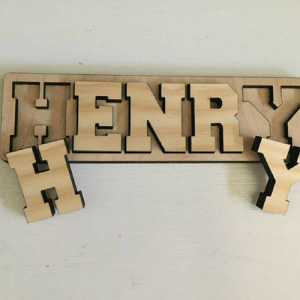 This is a fabulous gift, particularly for little ones who are just learning to spell their name and enjoy puzzles. You can get this personalised with up to ten letters here. I adore these! 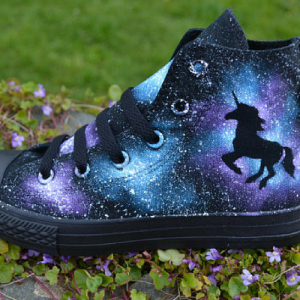 My daughter is unicorn mad and these are so on trend at the moment. These come in a huge range of sizes from 0-3 months up to adult size 4.5. Wow! Grab a pair here. 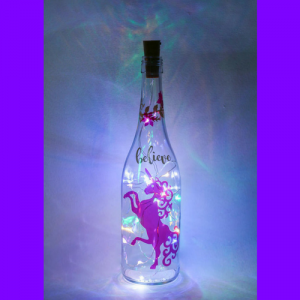 Staying on the unicorn theme, this bottle light is simply stunning, just imagine how beautiful this would look lighting up the bedroom through the winter with a warming, magical glow. Just stunning. 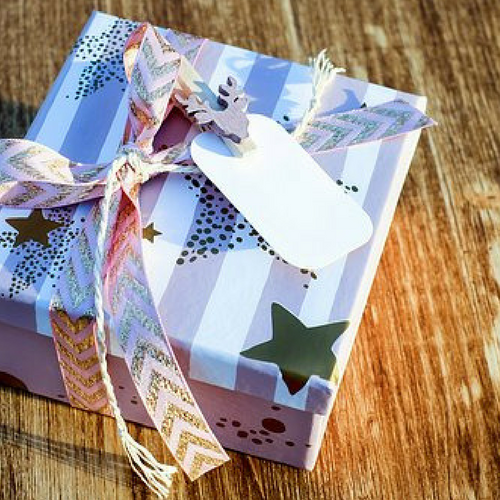 You can get this gift wrapped too.